CHECK OUT all of the thrilling, funny, magical and amazing acts. Check the Front Gate Marquee as you enter for special guests and activities. An immersive silent comedy experience using whistles and gestures, MooNiE brings the audience in and puts everyone in stitches. Add to the comedy, MooNiE’s mesmerizing balancing and juggling skills will create an enjoyable family friendly show. Miami Valley Falconry will be presenting a live Birds of Prey show. They will be bringing the whole team with them to the fair including a goshawk and Harris Hawks. Many topics on old world falconry including hunting techniques, birds used and what particular birds meant for your social status will be covered. Joining us in September, this crew is here to entertain with their self-described style of Grog Rock. Fun piratical music for all to enjoy! This trailblazing trio will excite and have you coming back for more with their driving melodies and relentlessly aggressive lyrics. More Irish than a drunken roar, and a sight messier, meet The Jackdaws. Don’t miss this jaw-dropping, elegant cirque-style aerial spectacle. Theatre in the Ground presents classic literary tales in the shire’s only Olympic-sized Muditorium. 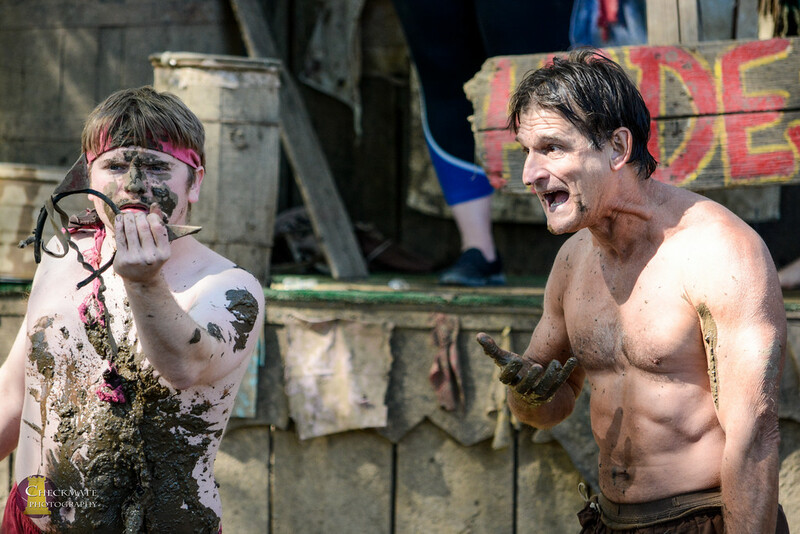 Get your front row seat for Beowulf, Dante’s Inferno, and the muddiest show of them all, The Viking Show. 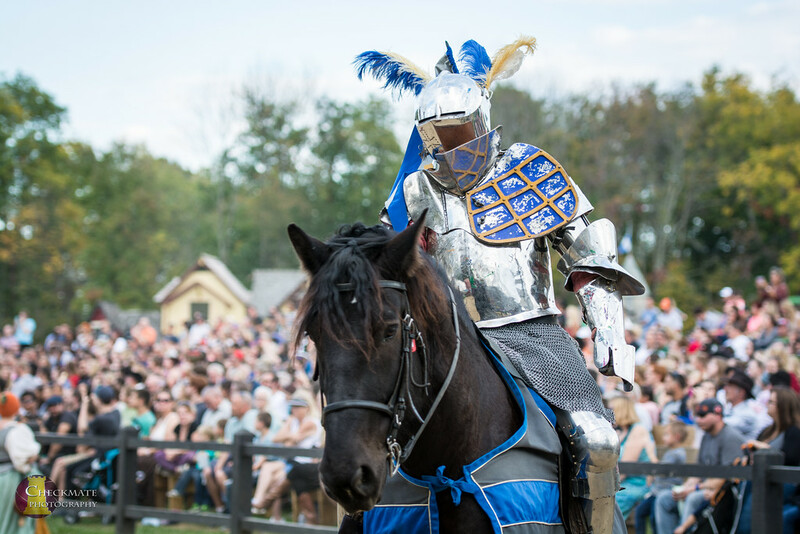 The Knights of Valour deliver hard hits and thrilling action in three jousts each day. The Kamikaze Fireflies offer an exciting mix of comedy and circus. Children of all ages will enjoy their many tricks never seen anywhere else including juggling, hula hoops, german wheel, and whip cracking. Heard on Doctor Demento! It’s Axel the Sot, the “ORIGINAL” drunken sailor, back from sea and ready to party on the Poop Deck! Join him on the new Shipwrecked Stage for his Drunken Music and Comedy Show twice daily. Bawdy, Bo dacious, Bothersome, Brown Bohemian Brethren…Thou may call him Friar BBBBBB. Sing along with the Friar’s fun songs in the village pubs or listen in the streets. Enjoy beautiful music from these lovely ladies but they’re not above singing a few tunes to bring a blush to your cheek! Listen to the hauntingly romantic music of the Glass Harmonica. Performing around the village, enjoy this talented hammered dulcimer playing a wide variety of songs. Enjoy the melodies of the harp and hurdy gurdy to sweeten your travels throughout the village. Vaudevillian style variety show, fun for all ages. Fire-eating, sword swallowing, bed of nails, bullwhip artistry, juggling and many other amazing feats of skill. Visit with Spark in the lanes, get sparkling fairy hair, and have a dance to the music of her Dragon’s Egg drum. Watch in wonder as rambling rhythms are created with dancing and drumming. Father, son, and a handful of friends share loud, rowdy drinking songs, mixed with bagpipes, whistles and all sorts of ornery. Fun-filled show for all ages, these wenches are just a little bit bawdy, a whole lotta brazen, and they love to pull you into their show! The Da Vinci Brothers Comedy Opera, featuring Leonardo da Vinci’s brother. . .Bob. A dynamic, original, and VERY funny collection of comedies, that invites the audience to become the orchestra, and the sound effects. Four different shows! Sensational family fun! Now appearing on the Shipwrecked Stage at 12, 2 and 4. A show full of laughs and amazing feats for all ages. Funny, charming, and always singing with a smile, find Dylan on the streets with his guitar ready to sing you a song on the spot. The Shady Lady Theatre Company presents The Sirens. Enjoy tantalizing tidbits of saucy songs and spicy comedy. These beauties are rated PG until the Naughty Bawdy Pub Show where anything goes! Trained cats! Trained rats! Trained human acrobat! …and an almost housebroken musician. 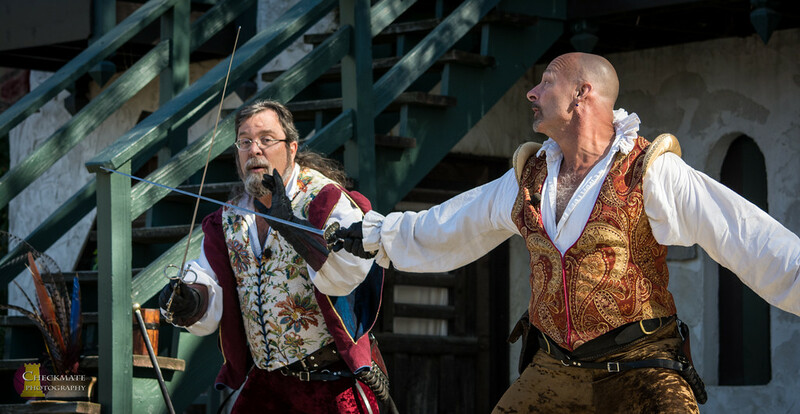 Performing on The Swordsmen Stage at 11:30, 1 and 4.